"don't wanna dance with ghosts..."
"don't wanna dance with ghosts...", by TS Hawkins, is a choreopoem experience of how past poisons taint the future when love strips the mind of closure. On the night before Jaye attempts to marry "the one", she struggles with a lingering past wrought with unfinished goodbyes and doubt for the one thing everyone else seems to understand; love. 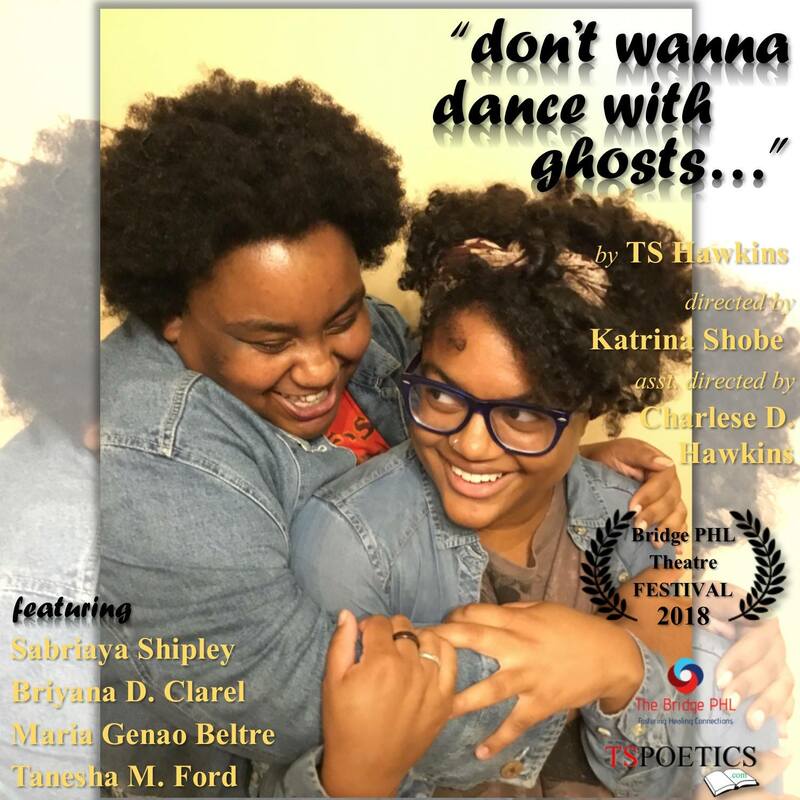 TS Hawkins is an international author, performance poet, and playwright. Plays & shorts include: Seeking Silence, Cartons of Ultrasounds, Too Late to Apologize, They’ll Neglect to Tell You, #RM2B, The Secret Life of Wonder: a prologue in G, AGAIN, #SuiteReality, and "don't wanna dance with ghosts...". AGAIN, was acknowledged for having the "Best Theater Moment of 2017" and #SuiteReality received the 2017 "Reality Check" Surya Bonaly Award, in addition to, international recognition by being featured in the WORDPEACE Literary Journal. Books include: Sugar Lumps & Black Eye Blues, Confectionately Yours, Mahogany Nectar, Lil Blaek Book: all the long stories short, and The Hotel Haikus. Hawkins is best known for creating the masterclass "Thriving Ain't Easy"; a poetry course that infuses health, wellness, and activism through poetry. For more detailed information about Hawkins' plays, click here!